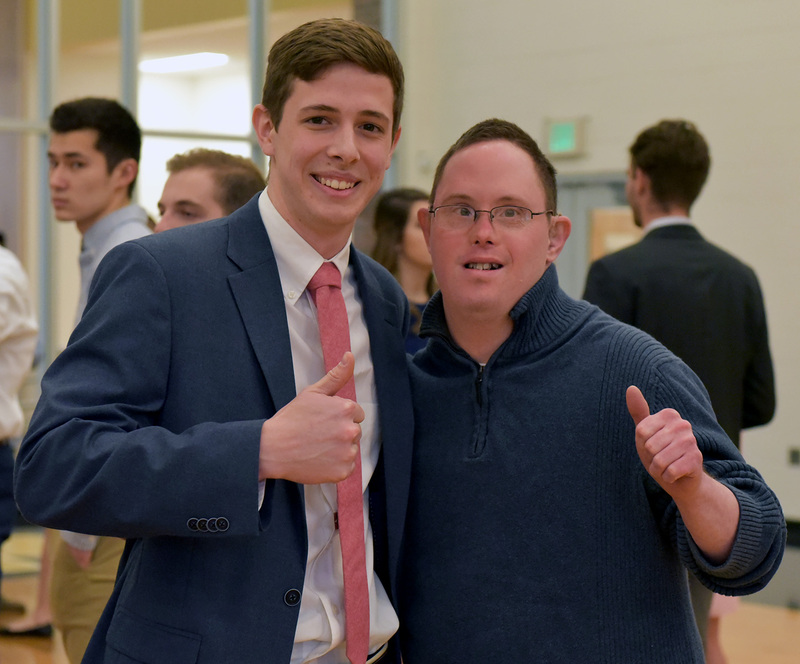 Through various fund-raising efforts, the fraternity raised $10,812 for people with disabilities supporting The Ability Experience, the national organization’s philanthropic effort. The total ranks the Purdue chapter as No. 4 among the nearly 200 Pi Kappa Phi chapters nationwide. The Ability Experience annual chapter fund-raising runs the calendar year, so money raised during the summer and fall will assist in the final annual rankings. The chapter has raised $10,000 or more for nine consecutive years and in 11 of the last 13. It is on pace to reach the $20,000 plateau for the second consecutive year and only the third time since 1980-81, the first year of the outreach effort. Since the 1980-81 academic year, the chapter has raised $245,493 for people with disabilities. War or Roses, a two-week event established in 2007 highlighting the challenges faced by people with disabilities that culminates with a talent show in a campus theatre. This year’s event included 14 sororities competing in empathy training, flag football, sheet sign, t-shirt and ticket sales and talent show that raised more than $5,000. Nearly 500 people attended the March 3 show in Purdue’s Loeb Playhouse. Pi Kapp/Best Buddies-Purdue Second Chance Prom, which is a service event. It features clients with special needs of the Arc of Tippecanoe who did not get a chance to participate in their high school proms. Eleven of the sororities competing in the War of Roses sent members to assist with the event that drew nearly 200 people. Pi Kapp 100, a 100-kilomter cycling trip from Zionsville to the Purdue campus established in 1999. The ride had 28 riders and crew members. The team included six men on regional training for the Journey of Hope and Gear Up Florida as well as Ability Experience CEO Basil Lyberg. The Pi Kapp 100 arrives during Moms Day at the fraternity each spring. The fraternity will have one major fund-raising opportunity in the fall – the Eighth Annual David Feltner 72-Hour Memorial Bike a Thon. That features two or three bikes ridden continuously for 72 hours on campus near the belltower in the center of campus as well as timed sorority distance competition. Chapter members will also assist the Arc of Tippecanoe during Arctoberfest, a Halloween-themed costume party. This is another service-oriented non fund-raising event. Because of its commitment to serve people with disabilities and its annual events, the chapter received the 2017 and 2018 Star of Hope Award from the national fraternity. The award recognizes the most outstanding and comprehensive use for The Ability Experience programming with a balanced approach on disability awareness, fund-raising and volunteer efforts. The fraternity also has nine riders in the 2018 Journey of Hope, a fraternity-wide, cross-country cycling trip. The nine chapter members raised $55,911 for the summer ride. Tyler Baumgartner, Andrew Beering, Gus Dunbar, Jonathon Gianakos, Chad Hellan, Jack Kellison, Ryan Patout, Sam Ragsdale and Drew Sickman are the 2018 riders, bringing the chapter’s all-time total to 76 men.